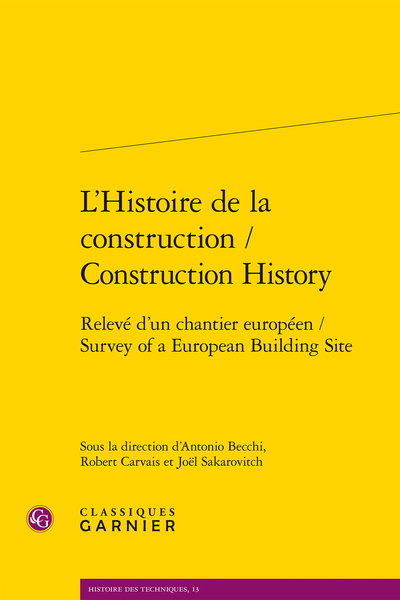 Abstract: The history of construction has recently undergone a spectacular renewal. This book provides a Europe-wide assessment. On the one hand, each country presents a state of the art in the field (publishing, research, teaching). On the other, an anthology of references is provided for further reading.